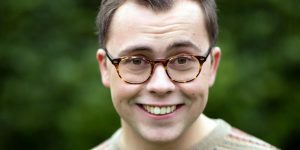 CBBC's The Dengineers is to return for a third series with new presenter Joe Tracini joining the team. The Dengineers are an elite team - comprising expert designers and builders - who are dedicated to making children's den dreams a reality. Joining regular presenter Lauren Layfield is Hollyoaks actor Tracini and a quintet of top Designers: builder Sege Rosella, TV and theatre set designer Olga Skumial, architect Maral Tulip, and designer duo Tony Broomhead and Satwinder Samra. It's been commissioned by Cheryl Taylor, Controller of CBBC and is made by CBBC Productions - the in-house team based in Salford. Series three will air on CBBC from the autumn.